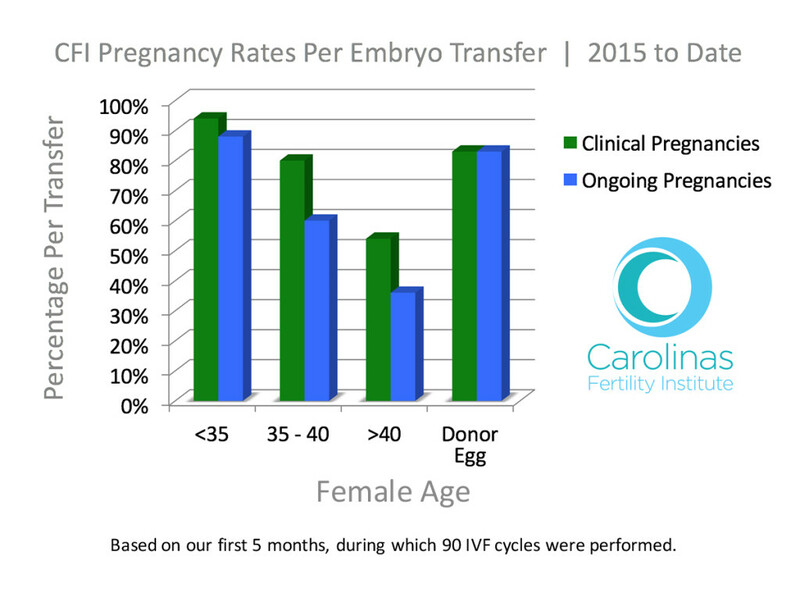 At Carolinas Fertility Institute, our talent and technology have resulted in extremely high success rates. National averages for IVF success are about 40%. At CFI, across age groups up to 45 years, our current success rate is above 80%! See what CFI has to offer you by calling 336.448.9100, or fill out our Request an Appointment form.